We are delighted to announce that Laurie Ellis has agreed to join the club as assistant manager. Laurie has a vast amount of experience working as an assistant manager in the championship after working under Grant Murray and Ray McKinnon at Raith Rovers and again under Ray, Csaba Laszlo and briefly Robbie Neilson at Dundee United. He has also filled in as a caretaker manager at Dundee United. 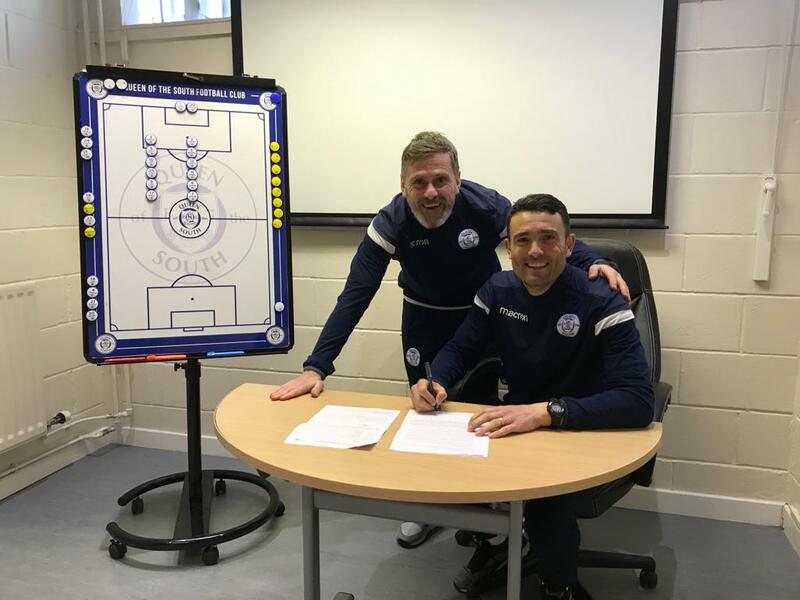 Before taking up coaching, the 39 year old began his senior playing career at Starks Park where the defender had three spells as a player as well as spells at St Mirren, Cowdenbeath and Stirling Albion. Manager Gary Naysmith said “Once it became clear that Dougie would be moving on, Laurie was the only person I targeted to replace him and I am delighted that I have been able to bring him to the club. Laurie is not someone that I have worked with before, but he is someone that has always impressed me whenever I have been in his company. He is enthusiastic, energetic and a very knowledgeable football person who loves to be on the training ground coaching the players. He is someone that I believe the players will enjoy working under and I am sure that both the players and I will benefit from Laurie’s arrival at the club. I am sure his experience will help us immensely in the remaining eight games”. Laurie will join Gary in the dug-out for our closed door friendly against Hearts on Saturday. We would all like to join Gary in welcoming Laurie to Palmerston.